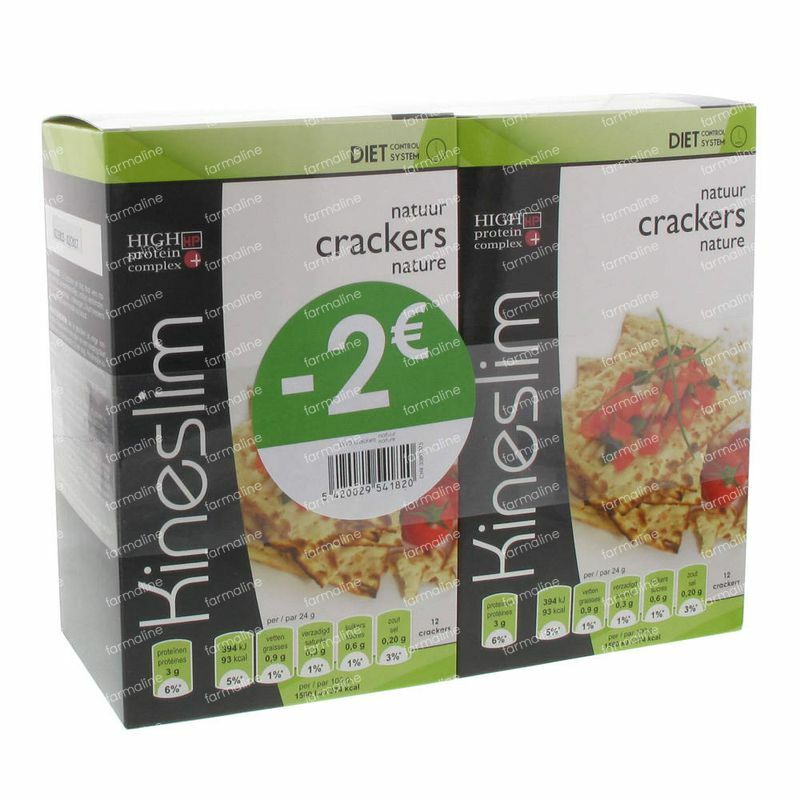 Kineslim Crackers Duo Lowered Price Promo 24 pieces order online. This delicious balanced preparation is the ideal snack for anyone wishing to follow a high protein diet-programm. Suitable to support a diet. 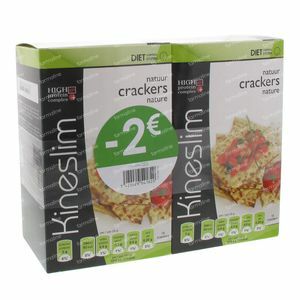 1 to 3 crackers per day as a snack or as part of a high protein diet. Drink a glass of water with each snack. Wheat flour, pea protein, hydrolyzed wheat gluten, anti-caking agent (colloidal silica).